The Bharatiya Janata Party (BJP) received a severe setback in the Uttar Pradesh and Bihar Lok Sabha and Assembly by-elections, losing four of the five seats in the bypolls, including the all-important Gorakhpur and Phulpur seats in Uttar Pradesh. Especially worrisome for the BJP was the fact that it was trounced by the BSP-backed Samajwadi Party in the high-stakes Gorakhpur and Phulpur bypolls which could boost the chances of a ‘mahagathbandhan’ of anti-BJP parties before the 2019 general elections. After sweeping the Lok Sabha elections in 2014 and the Uttar Pradesh Assembly elections last year, the BJP faced a last-minute alliance stitched by the Samajwadi Party (SP) and the Bahujan Samaj Party (BSP) in the bypolls. BSP supremo Mayawati had announced her party’s backing for SP candidates in both Gorakhpur and Phulpur in return for the SP’s support for her party’s candidate in the Rajya Sabha biennial elections. The BJP lost the Gorakhpur seat to the SP by a margin of 21,961 votes. SP candidate Pravin Kumar Nishad got 456,437 more votes than his nearest rival, BJP’s Upendra Dutt Shukla, who secured 434,476 votes. In the Phulpur constituency, SP candidate Nagendra Pratap Singh Patel defeated BJP candidate Kaushalendra Singh by a margin of 59,613 votes. The winner polled 342,796 votes, while the BJP candidate secured 283,183. Significantly, Gorakhpur was earlier held by Chief Minister Yogi Adityanath, while Deputy Chief Minister Keshav Prasad Maurya had held the Phulpur seat. Once the outcome of the Uttar Pradesh 2018 bypolls was known, Chief Minister Yogi Adityanath said that “over-confidence and the inability to understand the understanding between SP and BSP” were the prime reasons for the BJP’s defeat. 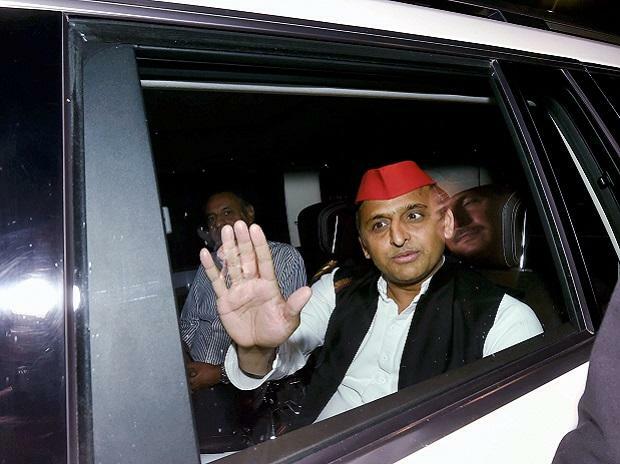 1) SP victory boosts chances of an anti-BJP coalition in UP: With the tacit understanding between the Samajwadi Party and the BSP in the Lok Sabha bye-elections for two seats paying off, chances of a ‘mahagathbandhan’ of anti-BJP parties before the 2019 general elections got a boost in Uttar Pradesh. These results are the beginning of the formation of a broadest possible alliance of Opposition forces before the 2019 Lok Sabha elections, senior political analyst and retired head of the political science department of the Lucknow University Ramesh Dixit said. “The Congress will also be forced to come into this fold with all the major players,” Dixit said, adding that all these parties were working to oust the BJP. “This showing has come as a silver lining for all the other parties and, notwithstanding their inner contradictions, their major concern of maintaining their political relevance, which is under challenge, will guide them to fall in line,” Dixit said.